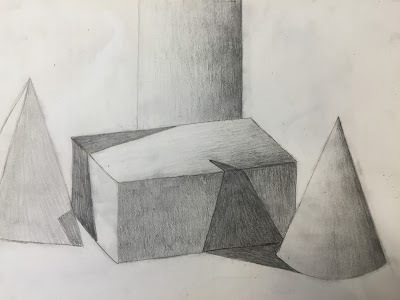 For this exercise we were supposed to correctly shade a set of 3D shapes in front of us. I think my shapes look pretty three dimensional and there's a good range of values. I am happy with this as one of my practice pieces.